Red-headed Woodpeckers are stunning birds, especially when the sun lights up their head, turning it a shiny metallic red. 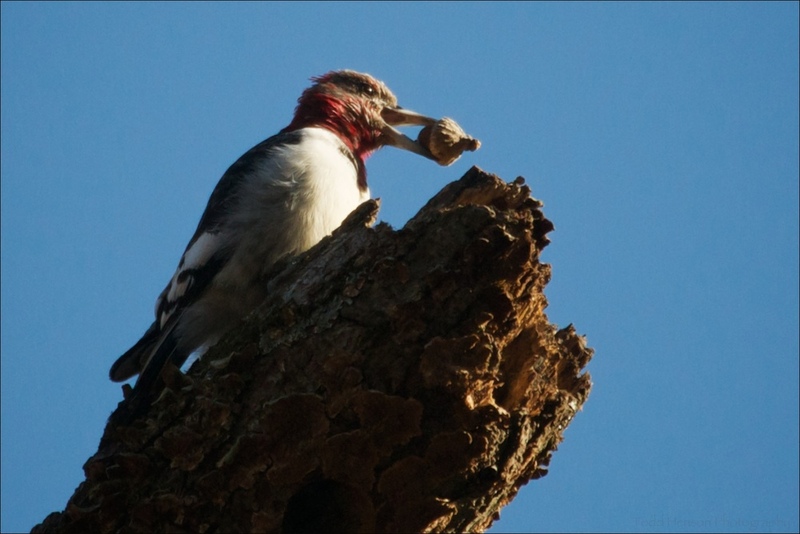 Unlike many bird species, male and female Red-headed Woodpeckers look similar. Juvenile Red-headed Woodpeckers lack the bright red head and solid black back, tending more towards a mottled brown. I haven't yet seen any very young juveniles, but included are a couple photos of maturing juveniles who's heads are beginning to turn red. All of these photos were taken in 2009 in a stretch of woods that borders a more open marshy area. 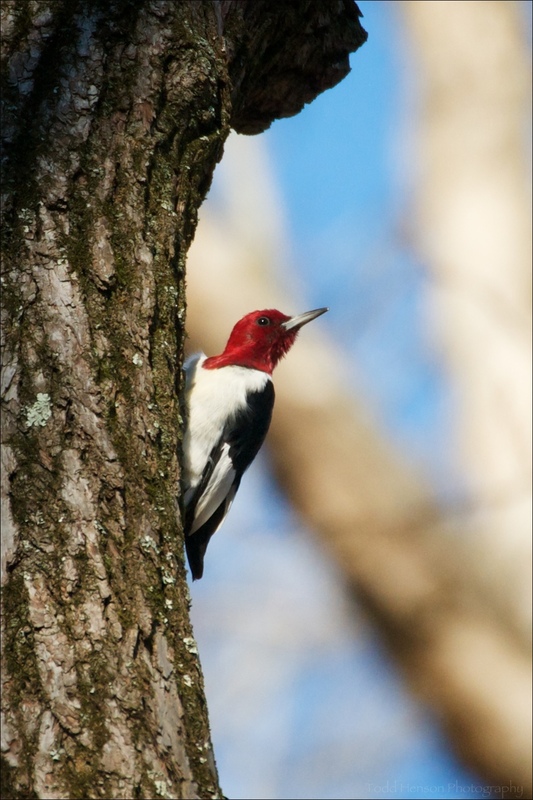 It's the first location I was lucky enough to observe Red-headed Woodpeckers. I didn't see them again until early 2014, when I began observing them in a different area of the same park.